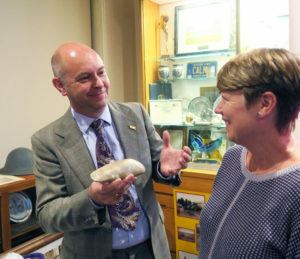 Calne Heritage Centre was pleased to welcome BBC Antiques Roadshow miscellaneous specialist, Marc Allum, on Friday 14 September, to talk abut ‘The Anatomy of Antiques’ and the stories of some famous collectors and the myths behind some everyday objects. 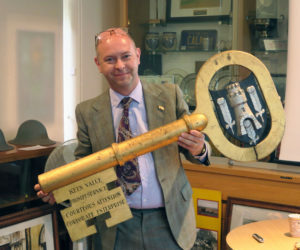 Marc describes himself as a self-confessed ‘collectaholic.’ While I’m sure he doesn’t he put himself in the same category as Rudolph II of Bohemia and John Tradescant, whom he talked about, his admits that his own collecting habits are very eclectic and wide-ranging, including a special interest in mortality items eg coffin plaques. 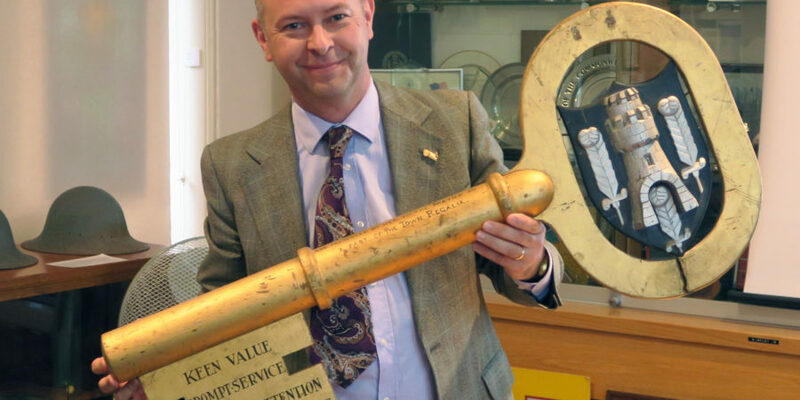 He spoke effortlessly without any notes, with great charm and humour, taking us through the ages of great collecting, alongside his own personal journey to a life in the antiques trade. 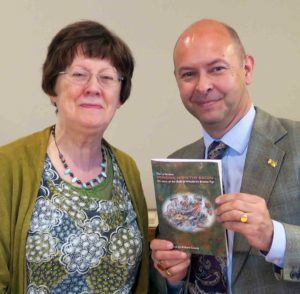 Dee with her new book with Bringing Home the Bacon, which is endorsed by Marc Allum, BBC Antiques Roadshow Specialist.